As always Bloodstock Open Air provided an eclectic blend of musical titans such as Judas Priest and burgeoning young guns such as Callus. 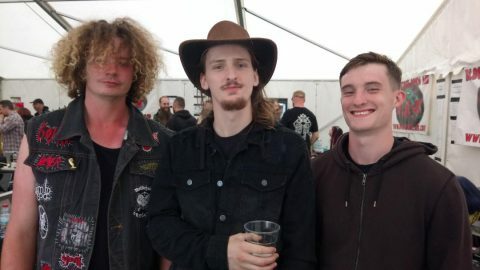 The Lancaster-based sludge trio were the first of more than 20 bands that Paul Castles caught up with at the festival, held annually at Catton Park in Derbyshire. Callus spoke about how they secured their ticket to Bloodstock and a place on the Jagermeister Stage. There’s also news of their soon to be released debut album, Hogpocalypse.